What are the landmark games? Which games created genres? Or perfected them? Or changed the way we look at them? Here’s my list. I’d love to see yours. Is it a tile laying game? Is it a worker placement game? An area control game? Carcassonne is all of these. 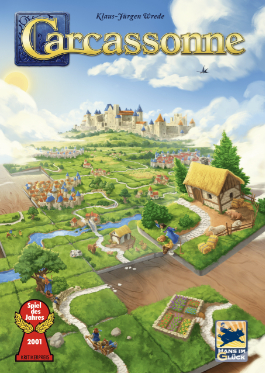 Carcassonne is one of those remarkable games that changes the way you look at games. My wife and I discovered Carcassonne in early 2001. It quickly became our favorite two-player game. At its peak, we were playing it 3-5 times week, usually immediately before or after dinner. Playing it so extensively enabled us to experience the game in great depth (It also turned us into area-control sharks but that’s a different story). Each turn begins with drawing and placing a tile. Carcassonne is clearly a tile-laying game. In most tile laying games, your main decision was where to put the tile (or sometimes, which tile to place if you have a hand of tiles). Klaus-Jürgen Wrede took that idea further. After each tile play, Wrede makes you decide whether or not to place one of your meeples on the tile to claim it. Lots of worker-placement games make you choose where exactly to put your worker and have different implications for each placement option. But how many of those let you decide through the tile you place what those options will be? Carcassonne does. Through its placement, a tile can be a perfect piece of a castle, or of a road, or of farmland. Or it can mess up the growth of another player’s castle, road, or farmland. If a meeple is already on a feature, no other meeple can be put on that feature. So Carcassonne is also a worker placement game because each meeple claims an area solely for its owner. Again, Wrede takes that idea further. Even if you’ve decided to play a meeple to your tile, different parts of the tile have different implications. And you have a limited number of meeples. And you can’t get a meeple back until its feature completes and scores. And farms don’t score until the end of the game so any worker assigned to farming is gone for the rest of the game. If a meeple is already on a feature, no other meeple can be put on that feature. But wait–the rulebook describes how to split ties and determine majority win areas! So Carcassonne is an area majority game. But why are these rules in a game which forbids a second meeple from entering an occupied region? They are there because you can connect bits up through tile placement to horn in on another player’s work! Dastardly! What about expansions? Carcassonne has bucket loads of them. Some introduce a new map feature. Some introduce a new type of meeple. One–the Catapult–brought a dexterity element to the game, another–the Tower–gave us a tray to manage all those expansions during play. Playing Carcassonne changes the way you look at tile laying, the way you look at area control, and the way you look at worker placement. It was revolutionary when it was introduced and stands unsurpassed even today. What are your landmark games? Which titles should every game enthusiast play at least once? 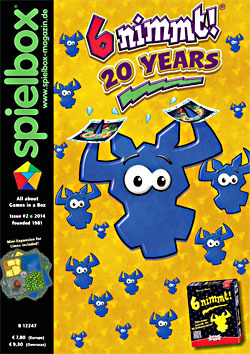 Carcassonne is my third suggestion. Come back Tuesday and see what you think of the fourth. Have you played Carcassonne? What do you think of it as a landmark game? What other games do you see as notable ancestors to newer games? Which ones were the (ha-ha) game changers? Share with your fellow readers in the comments below. And if you’re enjoying what you’re reading, create and account with WordPress and follow this blog. If you keep reading, I’ll keep writing.